This is an 8-week course for children between 0 and 12 months and their mother/father. It is a creative group where, using music, movement and rhymes, we help stimulate the development of linguistic, musical and motor skills with each child. This is not a 'walk in' activity - you must sign up for the course in advance. For further information, or to find out when the next course is running, please telephone or email our Children & Family Worker (details at the top of this page). 10.30am - 1pm Toddler Café - As well as the normal café, there are toys in the main hall for toddlers to play while carers can sit with them and still enjoy items from the café. A sociable group to run/walk and encourage one another in some gentle excercise. Suitable for those who walk or prefer a gentle jog! Because of the large number of people attending, we run two sessions of Songtime. During Summer school holidays, only the earlier session runs. On the first Sunday of every month (except January) we run Messy Church from 4 - 6pm. 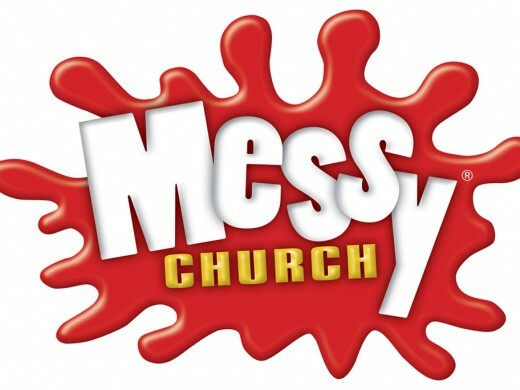 Messy Church is for people who would like to come to a completely informal style of church. Messy Church is for EVERYONE, regardless of age, and includes a range of activities - crafts, food, games, discussion, singing and stories. · We start at 4pm and have an hour of craft and games. · Once we have finished with the craft we have about 15 minutes together where we show off what we have made, sing and listen to a short story. Fancy a proper cup of coffee or tea, a snack, and maybe a nice chat? Then our church café is the place to be: Tuesday and Thursday from 10.30am to 1pm. On Thursdays the café extends into the main hall, where we put out toys so babies and toddlers can play, while carers relax and enjoy a drink and snacks from the café. Here you’ll find a warm welcome and, if you wish, a listening ear.